In today's digital age, your prospects are savvy. Able to research online before making decisions, buyers are less responsive to traditional sales and marketing. This has led to software sales cycle lengths increasing. 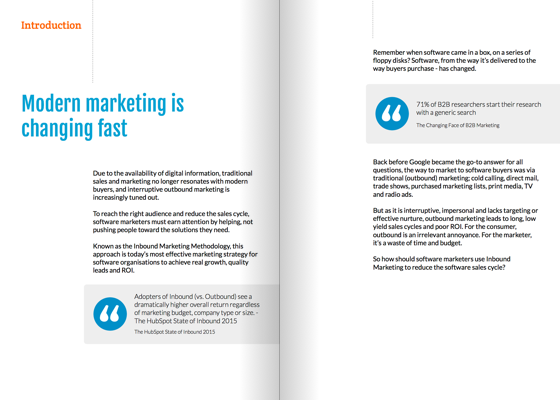 To reduce sales cycles, software marketers must help rather than push prospects toward sales decisions. 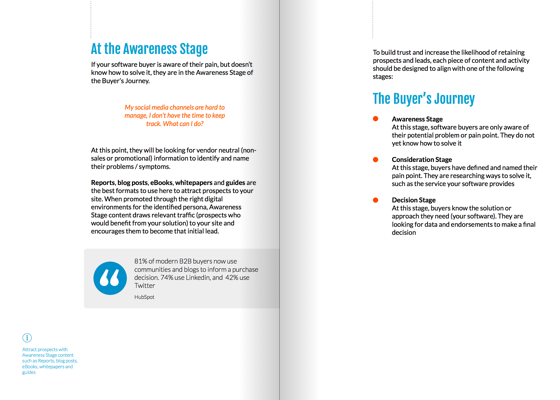 Addressing buyer pain with targeted content is the first step; establishing your brand as a trusted, helpful advisor. 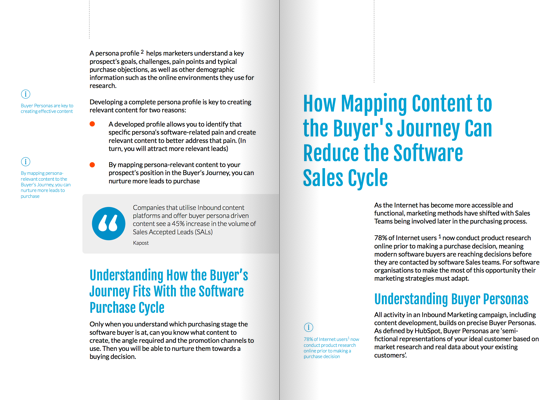 In this guide you will learn how to map content to solve buyer pain at each stage of the buyer's journey; reducing the time it takes to close software leads.